Emma Woodford, EPHA Interim Secretary General, explains the organisation’s stance on the Transatlantic Trade and Investment Partnership (TIPP) and the wider implications for health once negotiations close towards the end of 2015. The Transatlantic Trade and Investment Partnership (TTIP) is a proposed free trade agreement between the US and the EU. The scale of the deal is unprecedented: it would be the largest regional free trade agreement ever, and negotiators say it could provide a major boost to the US, EU and the global economy, by removing trade barriers and harmonising regulations. The proposals are also exceptional because they will encompass decisions about how national healthcare systems operate. Supporters say the deal could open up economic growth on both sides of the Atlantic, including in pharmaceuticals and healthcare. But the talks have been heavily criticised. Opponents say the current negotiations could lead to corporations having undue power to mount legal action against Europe’s healthcare systems. For instance, they say pharma companies will be allowed to challenge decisions on pricing and patents, and private health companies will have the right to compete for contracts to supply public healthcare services. Here, the European Public Health Alliance (EPHA), a network of NGOs and not-for-profit organisations, argues for areas of public health policy to be excluded from the trade talks. It says the talks bring the interests of pharma into conflict with patients and public health. Despite its opposition to many potential aspects of the market liberalisation, EPHA says the deal could still produce benefits for public health and for business – but only if these interests are properly balanced and limits to corporate power are retained. After more than a year of talks, negotiators from both sides of the Atlantic are still struggling to prove how the proposed TTIP could have a positive impact on public health. This was brought home to us at EPHA at our annual conference, held in Brussels on 5 September. For the first time, the meeting brought together representatives from the lead US and EU negotiators to debate the health impacts of the TTIP. Ignacio Garcia-Bercero, from the European Commission’s (EC) DG Trade and EU chief negotiator and Elena Bryan, senior trade representative, US Mission to the EU, both provided reassurances about the deal. They said the current TTIP proposals would benefit both the EU and the US, and that states would retain the right to ‘appropriately regulate’. But after listening to these arguments, we believe the case has not been made, and that many core aspects of public health should be exempted from the final agreement. TTIP has been criticised many times by health NGOs and campaigners for a lack of transparency, as well as for watering down health and consumer legislation, due to the dichotomy between public health and economic interest. Most concerns from civil society have involved public services, the investor-state dispute settlement (ISDS) and intellectual property. One of the most contentious aspects of the proposed deal is the Investment State Dispute Settlement (ISDS). This would give transnational corporations the right to take governments to court in international tribunals outside of their national systems, should governments attempt to introduce initiatives that could potentially limit their profits. This had been demonstrated by the case, in 2012, of a patent denied in Canada, when Eli Lilly, an American global pharmaceutical company, filed an ISDS challenge under the North American Free Trade Agreement (NAFTA). There is a provision in Canadian law whereby a patent needs to demonstrate utility. Canada invalidated the patent after assessing its utility, so Eli Lilly filed a claim for compensation of 500 million Canadian dollars. Health campaigners are concerned that this will have a chilling effect on other countries using flexibilities in TRIPS, the current global rules governing intellectual property. This is particularly concerning, as the case was filed against a Western government and it extended ‘investment protection’ to intellectual property decisions. Negotiations around the TTIP must take into consideration the fact that trade is a means to an end, not an end in itself. The ultimate objective should be to create societies that enjoy good levels of wellbeing and high levels of health, consumer and environmental protection. The EU and US could provide a mechanism (a clause or declaration) to provide guidance and clarity that the ‘right to regulate’ goes beyond the areas included in the agreement. This is needed to giving ample scope for EU and Member States to regulate without the risk of facing legal challenges at the World Trade Organization (WTO) or Investor State Dispute Settlement (ISDS) arbitration. Future trade agreements must be consistent with work at the international level to promote public health in the framework of international treaties, strategies, and so on. This is important to provide a meaningful framework that allows for a stronger emphasis on public health, and that these agreements reflect international consensus on addressing health issues. If negotiated carefully, the TTIP could provide the opportunity for the EU and the US to collaborate jointly on new developments in medicine and science. With a robust regulatory environment and sharing of information, faster achievements could be made to improve the therapeutic benefits of medicines coming to market. The US Food and Drug Administration (FDA) and the European Medicines Agency (EMA) could collaborate on issues that are unrelated to trade and market authorisation – such as rare diseases, paediatrics, medicines barcoding for hospital medicines, and medicines shortages issues. There is a question if such collaboration must be rooted in a free trade agreement. There are opportunities to increase efficiency as well. • For clinical trials, harmonisation of technical requirements could make the sharing of clinical trial results conducted in the EU and in the US easier. • EU and US regulators could collaborate on the inspection of companies’ facilities and good manufacturing practices. This could avoid duplicating efforts while ensuring the quality of medicines. It is positive that generic and biosimilar medicines represent priorities in the negotiations. There is a need for progress on a single development programme for generic medicines, especially for complex generic medicines. EPHA questions if pricing and reimbursement should stay outside of the TTIP, as it is a Member State competence. Civil society assessments of previous free trade agreements found this could jeopardise public health policies and lead to higher prices. EU Member States need the policy space to provide pricing and reimbursement policies to ensure long-term, sustainable access to medicines for their citizens. Pharmaceutical companies in the EU are currently prohibited from advertising prescription drugs directly to patients, although this is permissible to healthcare professionals. Direct-to-consumer advertising is regulated by the US FDA. For this reason, EPHA would advocate for direct-to-consumer advertising to be left outside of the agreement and for information dissemination standards to be unaffected by the negotiations. The Working Group on Pharmaceutical Products should provide for adequate participation of officials of agencies or departments responsible for health and to ensure that meeting agendas, minutes and lists of participants are made public. The exchange of information between regulatory agencies is important. However, the proposal to ‘exchange CCI [commercially confidential information] and trade secret information’, without an accompanying definition of what these mean could restrict the use of clinical trial data. More clarity is also needed to define trade secrets and commercially sensitive information, along with interlinks with the ongoing negotiations on the Trade Secrets Directive. Currently, the EMA is working on a new policy and the Ombudsman has intervened to ensure transparency regarding the non-comprehensive disclosure of trial data. The concerns raised by the Ombudsman must be addressed during the TTIP negotiations, and will be useful for agreeing on the use of clinical trials data in the public interest. One of the most significant impacts on the way the TTIP will be negotiated in the future falls completely outside of the remit of DG Trade. 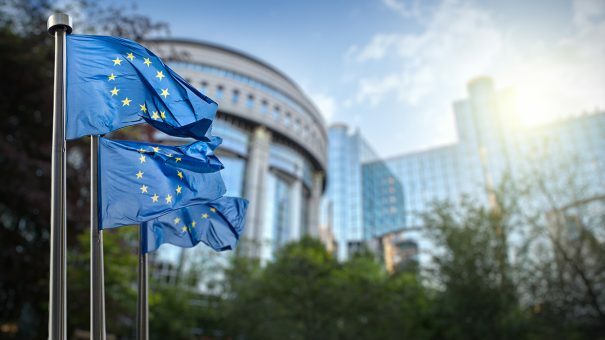 Recently, President-elect Jean-Claude Juncker decided to move the competence for health products and health technologies from the Commissioner for Health to the Commissioner for Internal Market and Industry, within the new College of Commissioners. The main driver of EU policies concerning pharmaceuticals and health technologies should be promoting and protecting health, but the Commissioner for Internal Market and Industry is mandated to promote the competitiveness of industry and the European economy. The proposed shift essentially eliminates the public health voice on trade issues within the EC. The proposed change in the responsibilities of the new College of Commissioners unveiled by President-elect Juncker is in direct contradiction to the need for a coherent and unified health policy within the EU. EPHA will encourage MEPs and the European Council to reject the move. The TTIP negotiations are expected to conclude by the end of 2015, and this time gives the health community the chance to make its voice heard. Working with decision makers, this could be an opportunity to promote improved patient access to innovative medicines, increase the exchange of information on safety issues and inspections, and safeguard clinical trial data transparency. As outlined above, greater regulatory collaboration could promote people’s health and wellbeing. But for this to be possible, there must be a public health voice within the EC to provide leadership to the negotiations. The public health community and European citizens cannot be sidelined from the debate. Emma Woodford joined EPHA in May 2014 and is currently leading the Secretariat alongside the outgoing Secretary General, in her role as Interim Secretary General. A committed non-profit organisation management professional and advocate, she began her NGO career working on poverty alleviation programmes in Vietnam and Thailand. She started at the Association of European Cancer Leagues (ECL) in 2009. As the project and policy coordinator there, she provided the Secretariat for the MEPs Against Cancer group in the European Parliament.